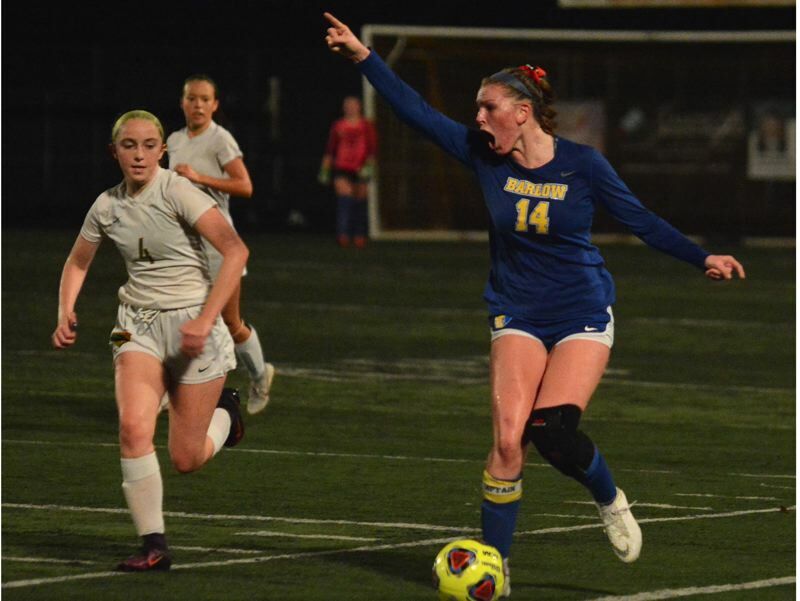 The Barlow girls soccer team closed down Cleveland 2-0 in a second-round playoff match Halloween night to move into this weekend's Elite Eight. "It's great. This team is very deserving," Barlow coach Jay Jacobsen said. "Coming into the season, we knew we had a special group, and they are peaking at the right time." The Bruins struck in the 29th minute when Abi Hoffman used a deft heel flick to feed teammate Joanie Holland for a shot from the top of the 18-yard box. After turning back some pressure early in the second half, the Bruins put the game away when Hoffman went top shelf from just inside the midfield line to make to 2-0 with 24:25 to play. Barlow (14-1-1) advances to play at No. 2-ranked West Linn (15-0-1) in the quarterfinals at 2 p.m. Saturday.